Leading Manufacturer of medical waste crusher, medical waste shredding machine, plastic waste shredder machine and bio waste shredder from Mumbai. 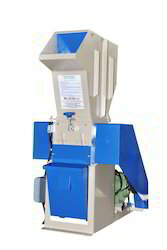 We are a company which has managed in the market for the supply of a wide range of machines such as the Medical Waste Crusher which have been manufactured in an efficient manner and they offer a high performance to the customers and this is done to prevent the reuse of the infectious biomedical waste and the machine is used for safely disposing off medical wastes and they have been priced at very reasonable rates. 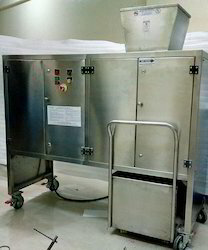 We are the leading manufacturers and suppliers of Medical Waste Shredding Machine. 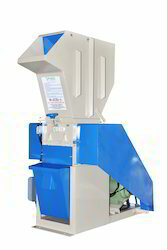 We are offering a wide range of Plastic Waste Shredder Machine to our customers. Model No RE 4" RE 6" RE8" RE12" RE16" RE20" RE25" RE30"
Throat Size 4" x 4" 6" x 6" 8" x 8" 12" x 12" 16" x 16" 20" x 20" 25" x 25" 30" x 30"
LENGTH OF BLADES. 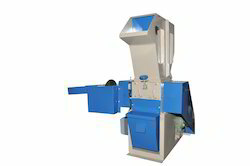 4" 6" 8" 12" 16" 20" 25" 30"
We are the leading manufacturers and supplier of Bio Waste Shredder.